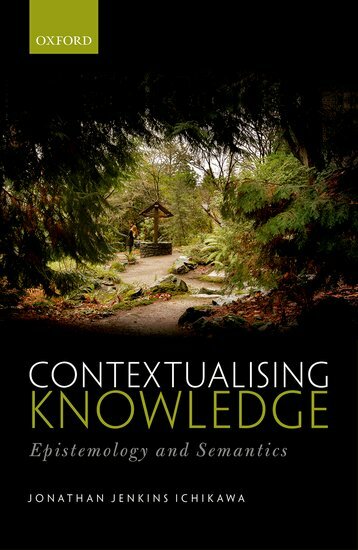 Contextualising Knowledge is my 2017 monograph with Oxford University Press. Here is OUP’s product page. It is also available from various retailers. You may have institutional access via Oxford Scholarship Online. The book developed and synthesised two main ideas: contextualism about knowledge ascriptions and a knowledge-first approach to epistemology. The theme of the book is that these two ideas fit together much better than it's widely thought they do. Not only are they not competitors: they each have something important to offer the other. I pay particular attention to how contextualists should think about knowledge norms—the knowledge norm of assertion, of belief, of practical reasoning, etc. Bernard Salow reviewed the book for Notre Dame Philosophical Reviews. I have made the Introduction and Table of Contents available online here. Here is a pre-production draft of the manuscript (under a previous working title). Please note that this version has many errors that have been corrected, and certainly a few that haven't. Please cite the published version. There were some mistakes in the published version. The ones I know about are listed here.